Prices of second-hand diesel cars have plummeted in recent years - meaning you could bag a bargain if you're looking for a new motor. That's according to car buying comparison site Motorway.co.uk, which has monitored the prices of used petrol and diesel cars less than five years old. It discovered that the average price of a diesel car at the beginning of 2017 was £14,327, dropping to £13,605 by the end of the year - and £12,849 by the end of 2018. Meanwhile, prices of used petrol cars have increased. In early 2017, the average second-hand petrol was £8912. This increased to £9807 by the end of 2019. “Perhaps the most interesting trend was used diesel Land Rovers dropping in price by a massive 20 per cent over two years." While second-hand petrol prices are still cheaper than diesels on average, diesels models are usually more expensive than their petrol equivalents to buy new. Many affordable small cars are petrols, too - as they're more suited to city driving, while bigger and more expensive cars are more likely to have diesel engines as they're suited to longer distances. 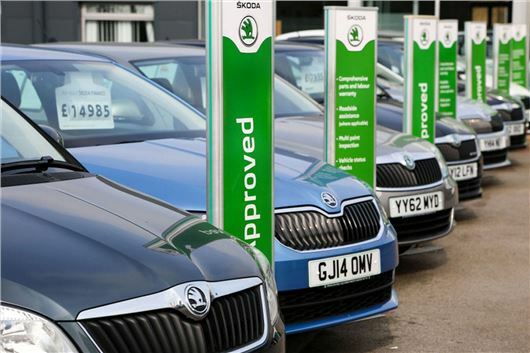 “Increasingly, people looking to buy a used car are deciding on fuel type before choosing what make and model they want to purchase," said Motorway.co.uk's director, Alex Buttle. “Perhaps the most interesting trend was used diesel Land Rovers dropping in price by a massive 20 per cent over two years. This suggests they are losing their appeal at the expensive end of the used car market, as more affluent buyers are opting for other options from the likes of Audi, BMW, Volvo and Mercedes-Benz – where petrol variants are showing comparatively buoyant valuations." Buttle added that it's not just premium SUVs that are being hit by the anti-diesel resentment. Vauxhall suffered an average drop of 14.9 per cent in second-hand diesel prices, while petrol variants of smaller cars across the market are increasing in price. It's not just the second-hand car market that's being hit by concerns around diesel engines. The UK's diesel new car sector was down by 29.6 per cent in 2018 - with the Society of Motor Manufacturers and Traders (SMMT) saying that the move away from diesels is having a 'significant impact' on average CO2 emissions. "Diesels are, on average, 15-20 per cent more efficient than petrol equivalents and so have a substantial role to play in addressing climate change," said an SMMT spokesperson. "The hard won gains made by the sector since CO2 records began in 1997 (when the new car fleet average was 189.8g/km) are being undermined by the shift away from diesel and disappointing growth in alternatively fuelled vehicles." Are diesels bad for the environment? All modern diesels are fitted with a diesel particulate filter (DPF), which is designed to reduce harmful emissions but can become clogged over time. Driving at high speeds for prolonged periods will cause DPFs to automatically regenerate, burning off the accumulated soot in the filter and preventing any issues caused by a blocked DPF. If most of your driving is around town, the DPF won't be able to regenerate and could become blocked. This can be expensive to fix as it will need clearing out or even replacing - and simply removing the DPF isn't an option, as it's now required for the annual MoT test. DPFs aside, driving a diesel in town leads to toxic emissions such as NOx and particulate matter - the kind many councils are trying to cut down on in urban areas, hence low emission zones being introduced in some city centres. If most of your driving is on motorways, diesels return better fuel economy than petrols and the diesel particulate filter will be able to do its job properly. All new vehicles produced since September 2015 have had to meet strict new Euro-6 emission standards, meaning new diesels are the cleanest in history. If you're looking for a new car and cover high miles, don't dismiss a diesel straight away. The lack of appeal for Land Rovers, given their strong following in rather interesting. My wife wanted an Evoke or Disco Sport, but after conducting lengthy research and a test drive, the idea was kicked into touch because of too many electrical niggles and major issues with the diesel engine and DPF. Petrol Evokes were too rare to be a serious consideration too. The fact that JLR is making many redundant and blaming China for the sales downturn, may be only part of the story. Not if they aren't a Euro6 compliant vehicle. You could suddenly be banned from driving it to work or the shops in many larger urban areas. Plus all the DPF problems still exist, especially JLRs. Only worth buying a diesel if you do a lot of miles a year and mainly longer trips, or you regularly haul heavy loads (e.g. towing a caravan, etc), and then be wary about non-Euro6 cars and vans: it'll very much depend on where you live, work and do most of your essential driving. Even if some cities don't ban older diesels outright, they may just include congestion charge type taxes which make them uneconomic compared to petrol or petrol-hybrd cars, even if you do a lot of miles, but most having to go into a low emission zone or similar. It says "Diesels are, on average, 15-20 per cent more efficient than petrol equivalents and so have a substantial role to play in addressing climate change," said an SMMT spokesperson. "The hard won gains made by the sector since CO2 records began in 1997 (when the new car fleet average was 189.8g/km) are being undermined by the shift away from diesel and disappointing growth in alternatively fuelled vehicles." That assumes we trust the car emissions stats of the past. It is clear that we don't due to large scale manipulation of the test design, test companies, government oversight and the test itself by the car manufacturers. Just watch the episode of Dirty Money on Netflix to see a glimpse of how blatant this corruption "was". Surely if a better Turbo was put on diesel cars leading to a higher proportion of air which would include higher Oxygen quantities blown into the engine this would help reduce emissions to more acceptable levels. Seems worth looking at to me would mean a leaner cleaner engine? Might run hotter but we have the technology to cure this. Diesel engines already run lean. That means that there is already an excess of oxygen. If it were as simple as making the engine run more so, we would not have DPFs. I'm running my remapped Merc 320CDi (V6 engine) without a DPF into the ground. Well my 1999 290GD 416 "G" Wagen, nor the 1989 300GD got none of that emissions nonsense, and will therefore see me out the rest of my driving days! I will almost certainly get the 300GD suitably re-powered, with a 6pot diesel c/w inline mechanical pump, and zero electronics. Surely adblue will also help counter NOX emissions? Ad Blu is injected into the exhaust and reduces Nox to Nitrogen.water. All this complete b******s about diesels at this time being pollutting, well so are Petrol models which create the greenhouse gasses CO2 per mile greater than diesels. Then we have the Power Stations yet to be built to take up the drain on the national grid these Electric cars will need.. I see no change for heavy industry/ aircraft/ ocean going sea vessels to lessen their contribution to atmospheric pollution of which THEY contribute by far the greatest quantities but it's ALWAYS Joe Motorists who gets a kicking first. Khan's London Exclusion zone does not account for changes in wind direction which brings over Saharan sand or pollutant gasses which get driven over from Europe and make the air quality totally crap. At last someone speaking some common sense.